Ships today if you order in the next 3 hours 40 minutes. If you have children, you know how difficult it can be to get them to stay focused sometimes. 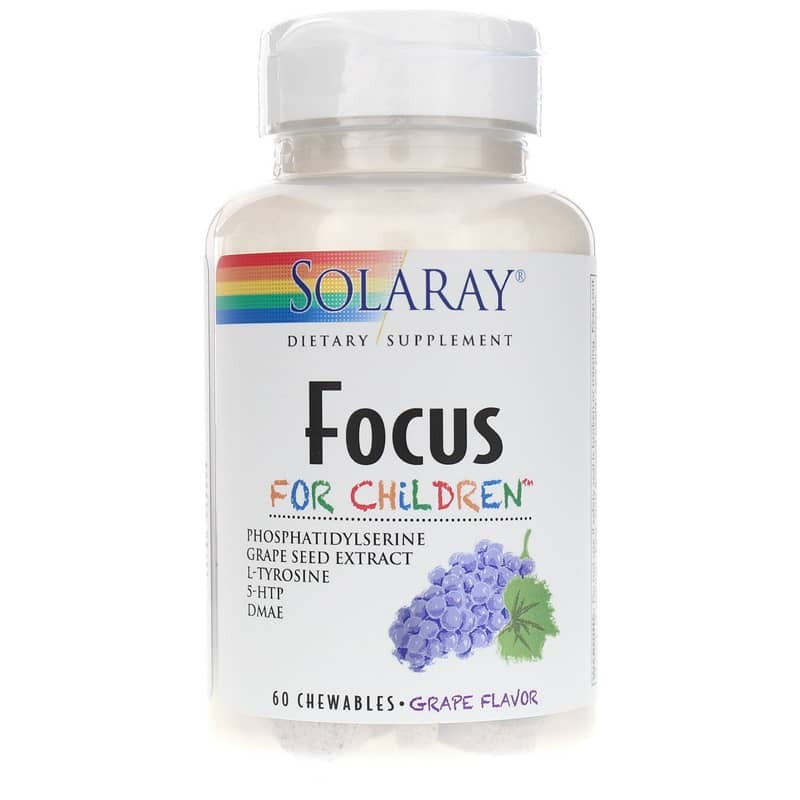 If your child has troubles staying focused in school, while doing homework, or while doing any other task, Solaray offers a supplement that may be able to help. 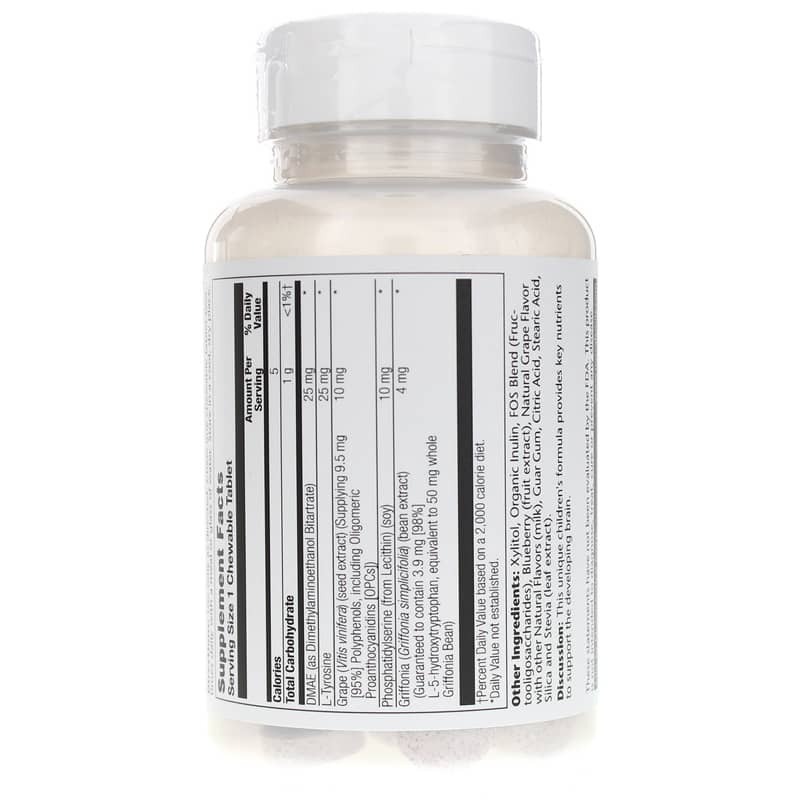 Focus for Children is a dietary supplement that combines special ingredients that provide support for optimal focus in kids. Solaray's Focus for Children provides the convenience of an easy-to-use chewable wafer that comes in a great-tasting tart grape flavor your child will love. Give it to your child today, and see the difference it may be able to make. Order now! 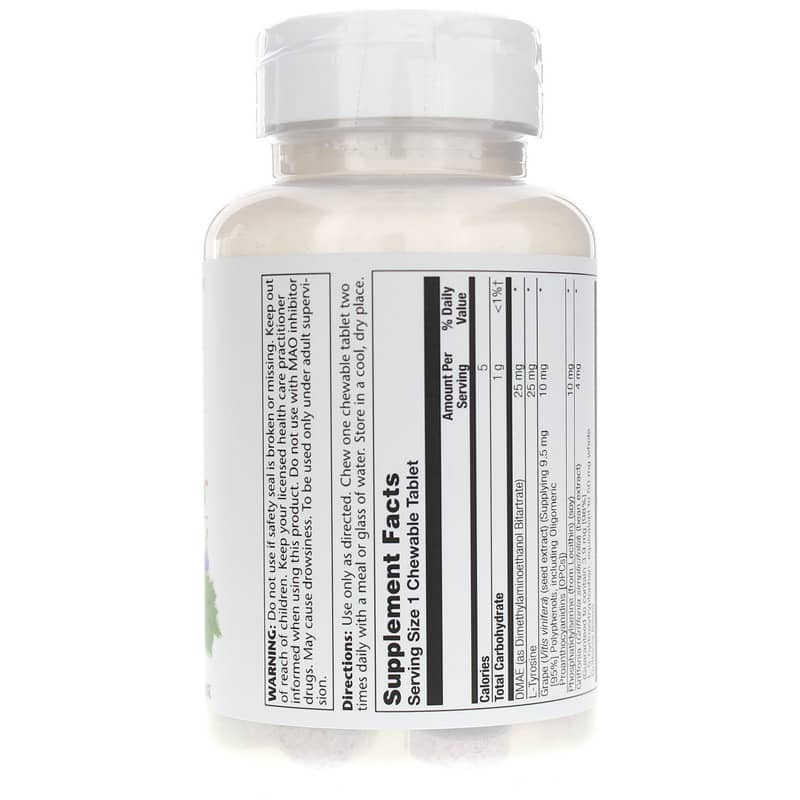 Other Ingredients: Xylitol, Organic Inulin, FOS Blend (Fructooligosaccharides), Blueberry (fruit extract), Natural Grape Flavor with other Natural Flavors (milk), Guar Gum, Citric Acid, Stearic Acid, Silica, and Stevia (leaf extract). Use only as directed. Chew one chewable tablet two times daily with a meal or glass of water. To be used only under adult supervision. Keep out of the reach of children. Keep your licensed healthcare practitioner informed when using this product. Do not use with MAO inhibitor drugs. May cause drowsiness. To be used only under adult supervision. I did see improvement in my 10 year old. He feels he is doing better and doesn't mind taking the "extra vitamin"
No change, but taste great. we just finished one bottle, split between three kids, so it's been a two weeks, and there has been no change. I don't know why it didn't work and has for others. Maybe it's just us, but will not buy again. Fish oil works better and that's what we will stick with. We were just out of the oil. We bought this to help our grandson focus on the task at hand and to help calm his overactive mind. We have been giving him one tablet a day. He still is easily distracted, but returns to task faster and with less resistance. We are considering increasing his dose to two a day because he is still "overly social" while working at school. After trying other liquid formulas and my son hating the taste, these chewable tablets were a hit with him. Also, the price is great! Will order again! Our son has mild ADHD; we (his parents) and his teacher have identified noticable differences in his focus, attentiveness, and general self regulation attributed to our son taking Focus for Children on a regular basis. We tried not Focus for 3 1/2 weeks as a trial period, and the difference in behavior was incredible.